NVIDIA outlined a plan to become the computing company, moving well beyond its traditional focus on graphics and into high-profile areas such as supercomputing. NVIDIA is making heavy investments in several fields. Its Tegra product will be featured in several mobile devices, including a number of tablets that have either hit the market already or are planned for release this year. Its GeForce lineup is gaming-focused while Quadro is all about computer-aided design workstations. The Tesla product line is at the center of NVIDIA's supercomputing push. One of the company's biggest projects, under the codename Project Denver, is the development of high-performance CPUs based on ARM's architecture to serve PCs, data center servers, and supercomputers. Chief Executive Jen-Hsun Huang first outlined those plans at the Consumer Electronics Show in Las Vegas. The company's efforts in supercomputing aren't limited to Project Denver. Andy Keane, NVIDIA's head Tesla manager, said the company aims to increase the supercomputer GPUs efficiency and power on a grand scale. 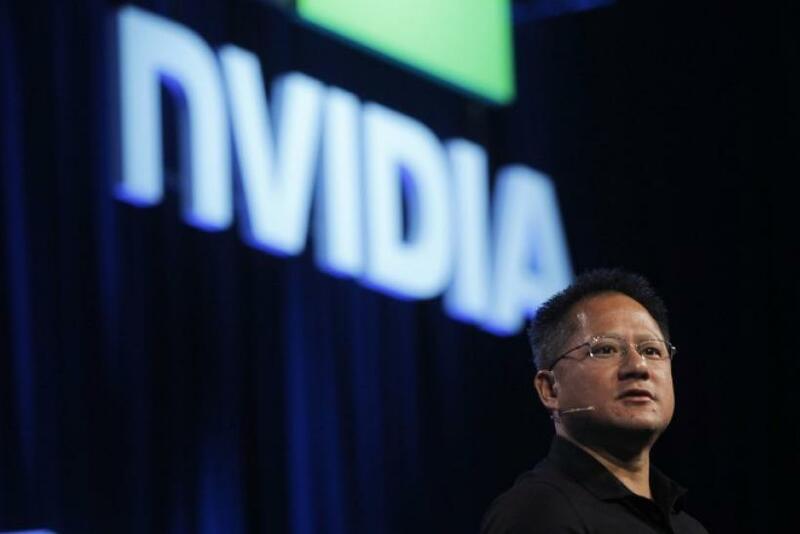 He touted NVIDIA's partnership DARPA, which is aimed at pushing the limits of supercomputing. By 2018, the DARPA-NVIDIA lead project will aim to build exascale supercomputers which will be 1,000-times more powerful than today's fastest supercomputers. In addition, the computers will be created more sustainably than today's supercomputers. Supercomputing is a huge opportunity for us, Keane said. If you look at [the analysis firm] IDC figures, the range of people doing work in the industry makes it worth billions. We're really going to continue to drive to that goal of 1,000 x scale by 2018. Speaking at the company's annual event for analysts at NVIDIA's headquarters in Santa Clara, Calif., Chief Financial Officer David White acknowledged that the company is making bigger capital outlays, though he would not give any financial details. While right now our investments are higher than they have been historically, I think that will catch up as those businesses launch over time, he said. A push into supercomputing would put NVIDIA squarely in competition with heavyweights such as Cray, IBM and Hewlett-Packard, as well as its old rival Intel. NVIDIA already supplies some of the processors for the Tianhe 1A, a supercomputer in China that uses 7,000 Tesla processors.